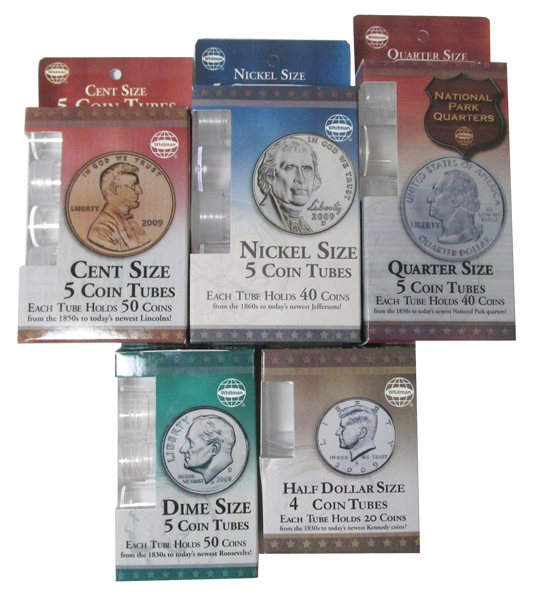 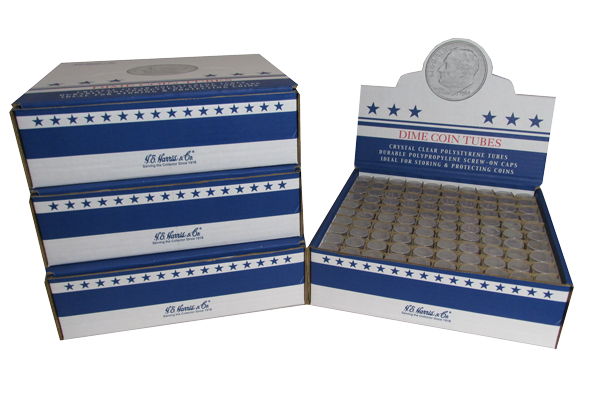 Whether you like round or square coin tubes you can find your favorite style from HE Harris, Whitman, Numis or Guardhouse. 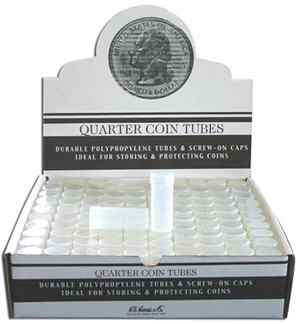 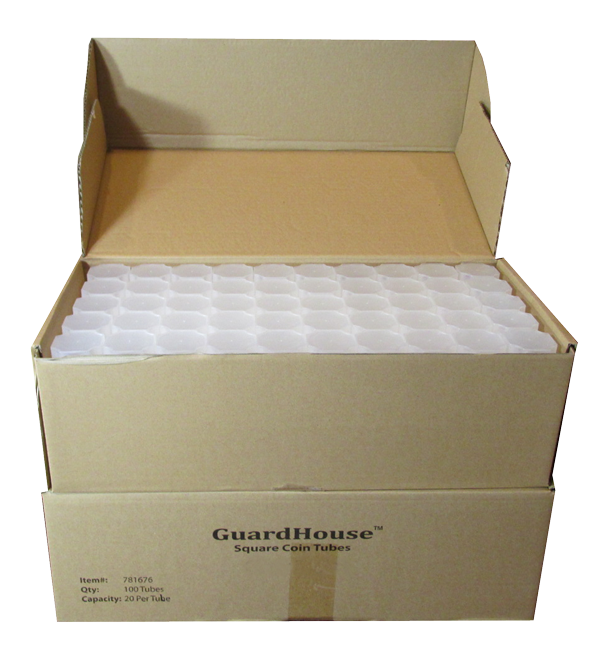 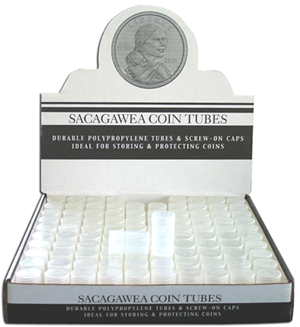 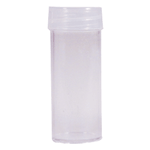 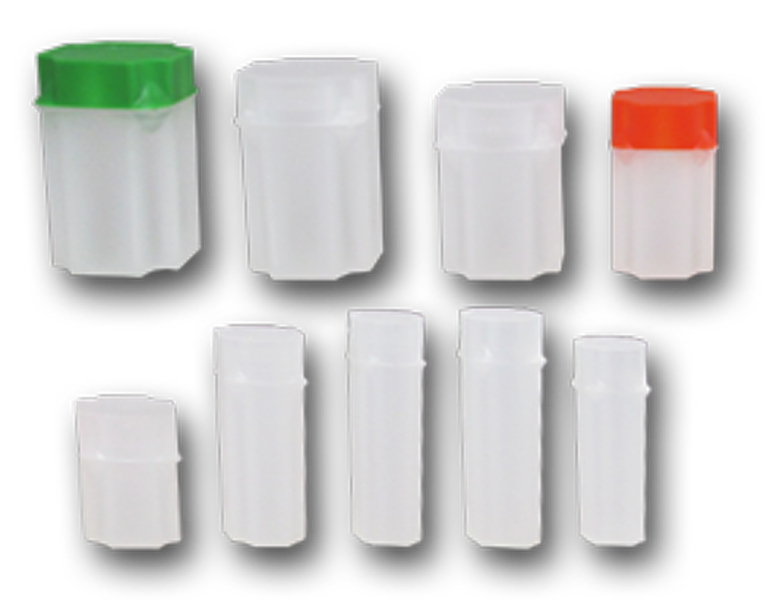 Our coin tubes are sold in a variety of quantities including Guardhouse Square Tube Singles, HE Harris Round Tube Singles, Whitman Round Tube Small Packs, Guardhouse 50 Packs as well as Numis, HE Harris or Guardhouse 100 piece packs. 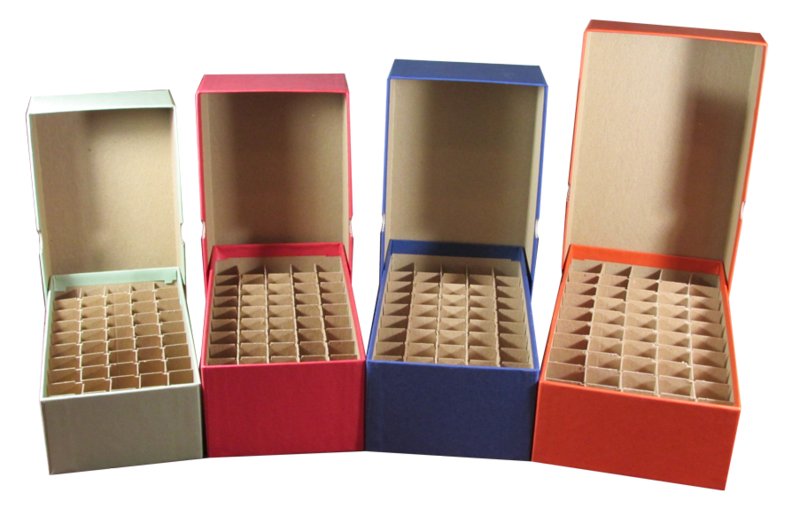 Don't forget coin tube storage boxes. 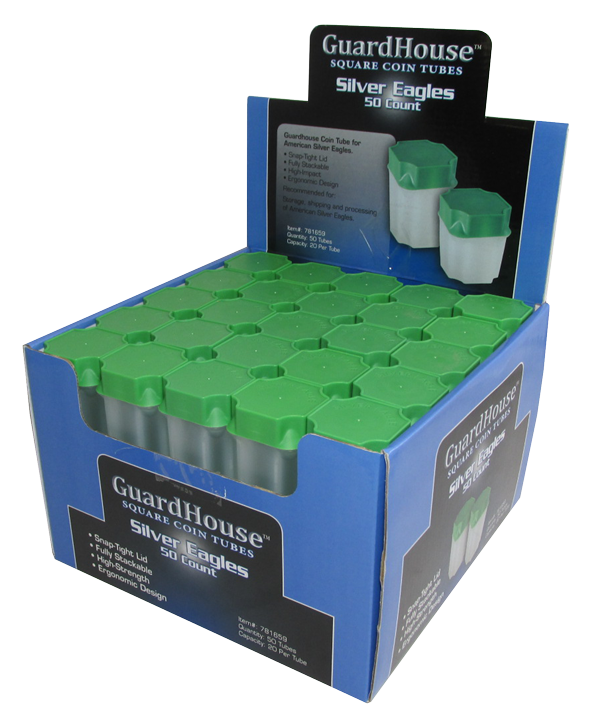 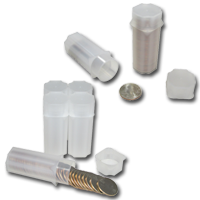 Square Numis coin tubes are an industry standard for stacking efficiently and simplifying the storage and processing of coins.This item is for raw coins and will not accommodate wrapped/rolled coins.